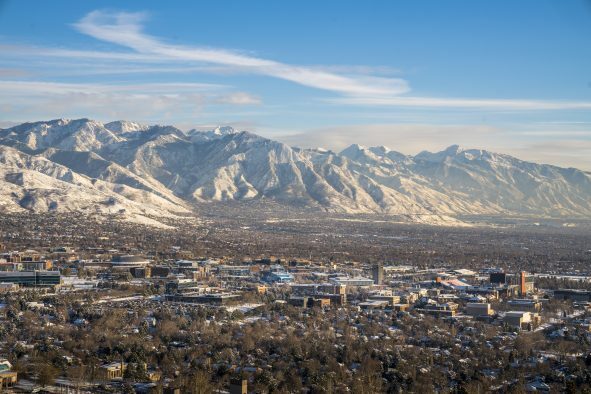 While home thermostats control HVAC (heating, ventilation, and air conditioning) systems based on temperature, engineers from the University of Utah have studied the effects of controlling them based on a home’s indoor air quality. They have discovered that programming your air conditioner and furnace to turn on and off based on the indoor air quality as well as the temperature doesn’t waste a lot of additional energy but keeps the air much cleaner. 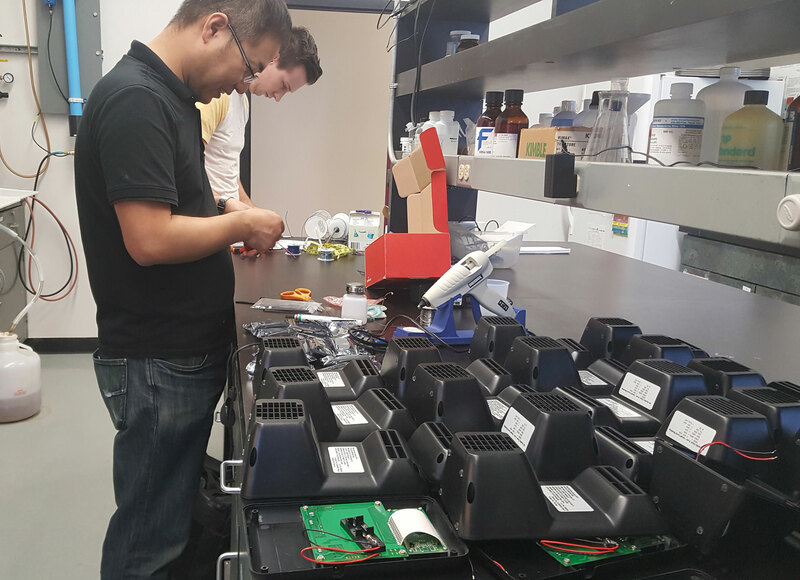 Their findings, published in a paper titled Smart Home Air Filtering System: A Randomized Controlled Trial for Performance Evaluation, will be presented Sept. 26 at this year’s “IEEE/ACM Conference on Connected Health: Applications, Systems and Engineering Technologies” in Washington D.C. 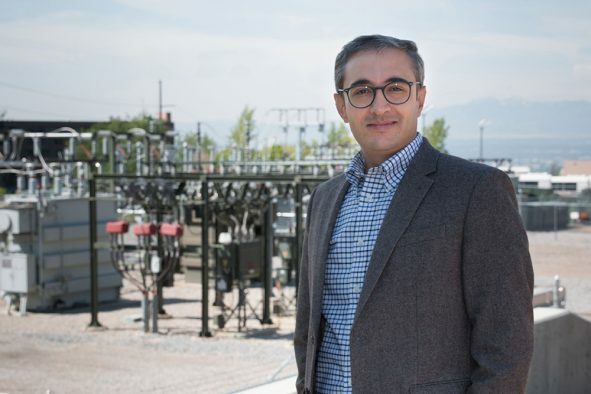 The lead authors of the paper are University of Utah electrical and computer engineering professor Neal Patwari and U electrical and computer engineering doctoral graduate, Kyeong T. Min. This graph shows that when a home heating and air conditioning system turns on and off based on temperature alone (normal), the air quality in the home can result in the dirtiest air based on 2.5 particulate matter. Meanwhile leaving the heating and air conditioning on all the time (On) results in the cleanest air at the expense of using the most energy. 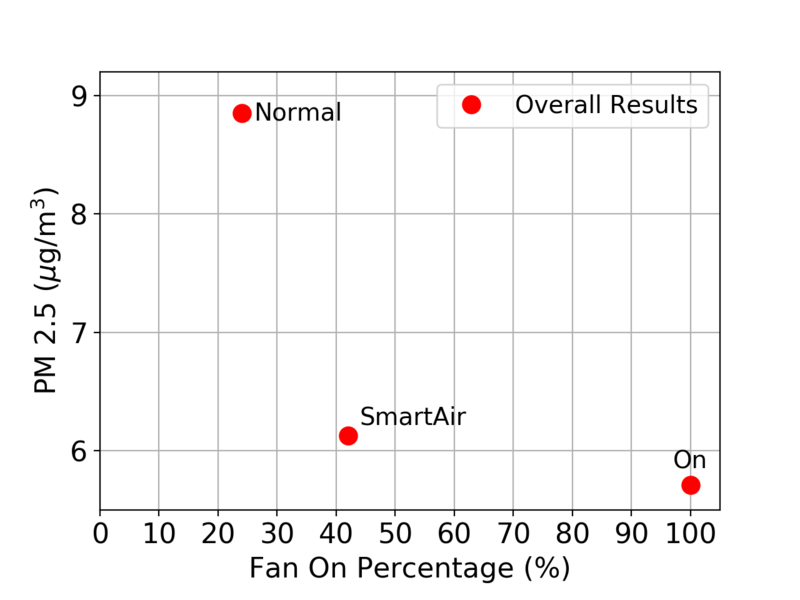 The SmartAir plot shows that a system that turns on and off based on both temperature and air quality can result in a home with much cleaner air but without a much higher cost in energy. For the study, 12 sensors were deployed in four homes in 2017. In each house, two of the sensors were inside rooms, and one was placed outside under a covered porch. Starting at midnight each night, each home would randomly operate the sensors under one of three conditions: “Normal,” in which the HVAC systems turned on and off normally based on temperature only; “Always On,” in which the air system operated continuously all day, and; “SmartAir,” in which the system turned on and off the HVAC fan based on the pollution measurement in the house as well as the thermostat’s temperature setting. Based on five months of data, the study revealed that operating with the “SmartAir” setting in which it turned on and off based on temperature and air quality cleaned the air almost as well as if the HVAC fan was operating all day, but it used 58 percent less energy. Meanwhile, when the heating and cooling system operates normally without regards to the air quality, the air was 31 percent dirtier than with the “SmartAir” setting. 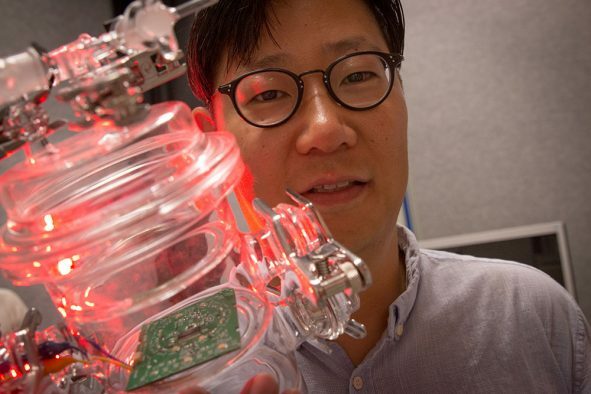 University of Utah electrical and computer engineering doctoral graduate, Kyeong T. Min, assembles air pollution sensors for a study that determines how efficient heating and air conditioning systems in the home are at cleaning the air quality while also saving energy. 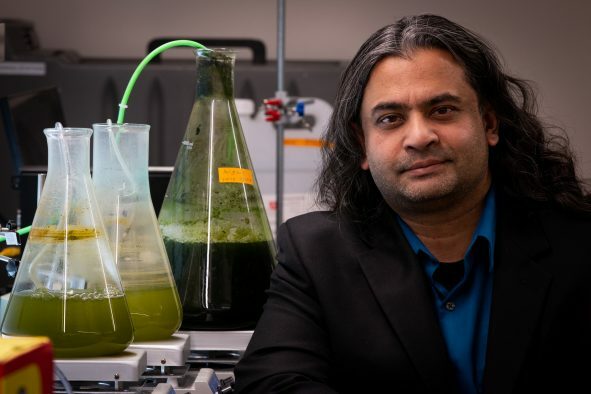 Patwari’s study involves engineering in collaboration with other University of Utah scientists, including biomedical informatics and clinical asthma researchers. It was funded as part a larger National Institutes of Health program known as Pediatric Research using Integrated Sensor Monitoring Systems (PRISMS), launched in 2015 to develop sensor-based health monitoring systems for measuring environmental, physiological and behavioral factors in pediatric studies of asthma and other chronic diseases.